Hand drawn cartoon of gym room. 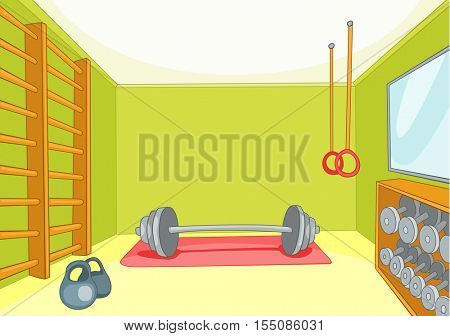 Cartoon background of gym room. Cartoon of fitness center interior. 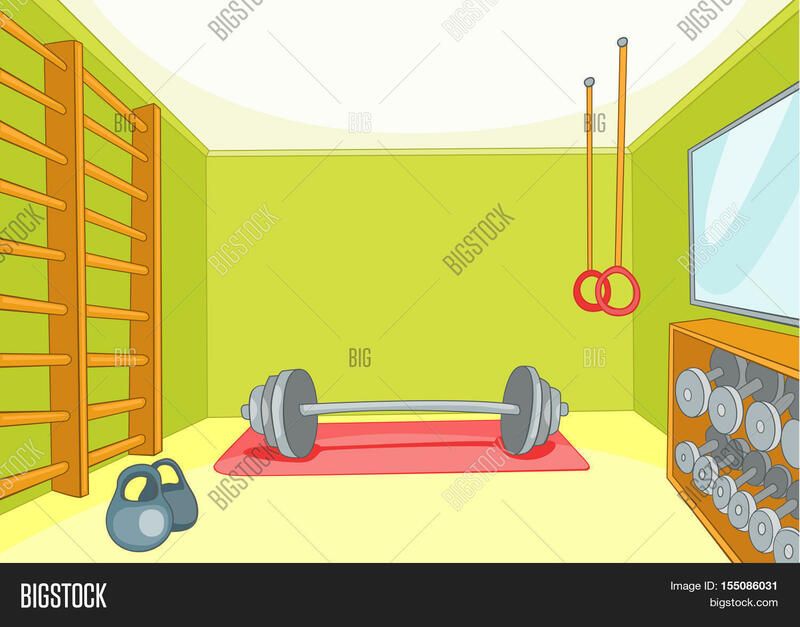 Background of fitness gym room interior with barbell and weight. Cartoon of gym with equipment.